According to the International Carwashing Association, cleaning your ride takes up a lot of water. Self-serve can use up to 16 gallons,. and those conveyor carwashes that guide your car through a car washing service can use up to 43.8 gallons per vehicle. That’s like dumping an entire bathtub of water on every single car just to make it shiny again. It’s fair to question if that’s the best use of water. Certain parts of the country are being gripped by historic droughts, and more droughts caused by climate change are almost guaranteed to be on the way. The need for a way to wash your car without dumping too much water down the drain has given rise to the waterless car wash. It’s now possible to give your car a perfect shine while using almost no water. Waterless car washes are possible thanks to special formulas and high-quality microfiber towels. Many waterless car wash compounds use nontoxic, silicon-based polymers that separate the dirt from the car body. 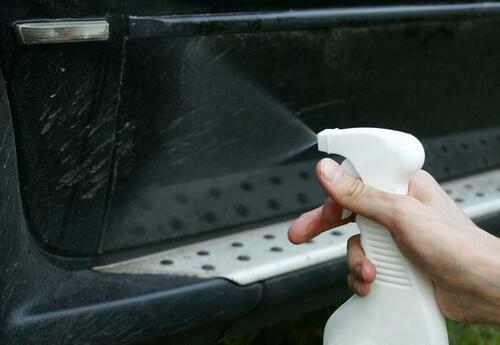 You simply lightly spray the compound on the car’s body and gently wipe it away. One of the biggest brands is Eco Touch, which offers products specifically for car owners who want to save the planet and look good in their car at the same time. As a bonus, many waterless car washes come with a wax premixed in, so you can shine your car while you clean it. The towel is just as important as the compound, since you can’t rely on the solvency of water to rinse away the dirt. For this reason, you have to use a good quality microfiber towel. To clean, you fold it twice to create eight sides total. As you wipe the dirt and compound away, it will slowly get dirtier. When it gets too dirty to clean, you just switch to a new side. Yes, it does take some water to clean the towel afterward — but much less than is typically needed to clean a car. Waterless car wash technology is still in its infancy, so there are still a few bugs that need to be worked out. Most notably, a waterless car wash just isn’t possible if your car is too grimy. 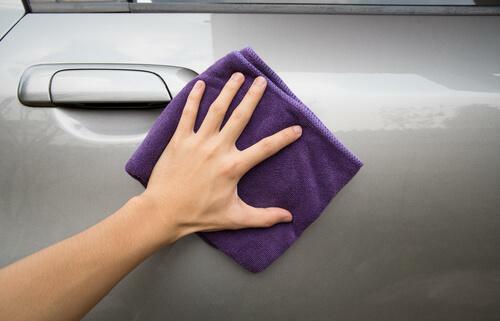 If you want to remove a thin layer of dirt, then you can make your car spotless again while using very little water. But if you like to go off-roading during the weekends, then it will take more than silicon-based polymers to clean your car. 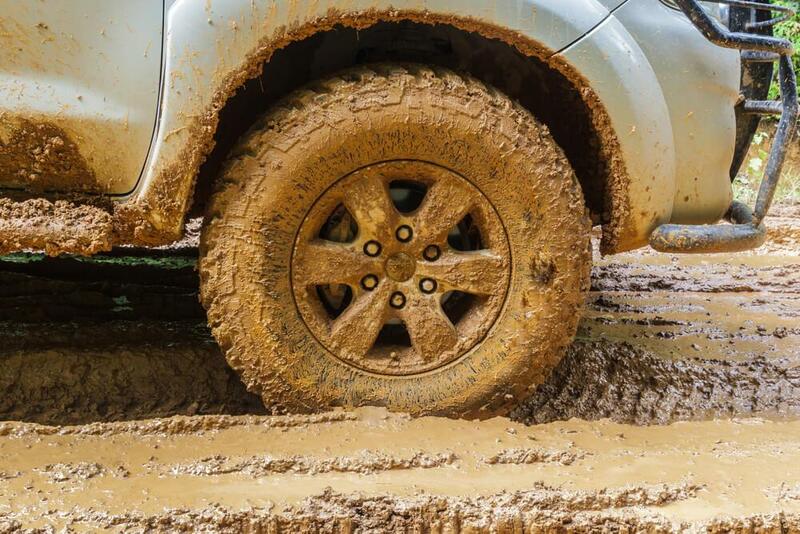 For this reason, using waterless car wash compounds can be challenging above the wheel well, where dirt has a tendency to get thick — even if you don’t have a habit of driving on unpaved roads. You don’t have to forgo water entirely in order to make car washing eco-friendly. Since rinsing is the most H2O-intensive part of washing your car, you can skip that part and seriously cut down on the amount of water you use. Here’s how it works: you take waterless car wash formula and squirt it in a bucket of water. Then you dip your microfiber towel in the solution and wash your car section by section. After you’ve cleaned off a section, you take a clean towel and wipe it off. By the time you work over the car this way, it should be totally clean. Do Waterless Car Washes Actually Work? If you’re accustomed to using a hose, a bucket of suds, and giant towel in order to clean your car, then waterless car washes will seem a little out of the ordinary. But once you get used to wiping away dirt with the help of a polymer-based compound and a microfiber towel, you’ll appreciate how it makes your car shine like new — and decreases your water bills. "It’s now possible to give your car a perfect shine while using almost no water." Suniva contracts with a network of wholesalers and contractors across the world.